"Aloha" means more than just "hello" or "goodbye." It represents the joyful sharing of love and compassion. 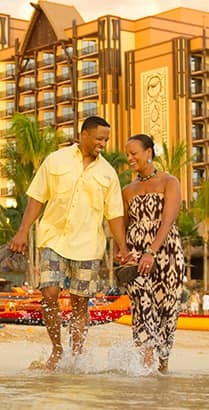 Magic and romance abound at Aulani, A Disney Resort & Spa in Ko Olina, Hawaiʻi. 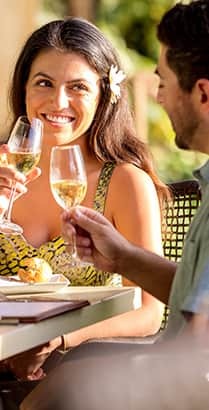 Pop the question amid the tropical splendor of Oʻahu—and enhance your proposal with magical moments, delectable dining experiences, soothing spa treatments and fun-filled excursions. Or, we can help you plan a proposal that's custom-tailored to your style—and designed to surprise and delight. Enhance your proposal with photography services, soothing spa treatments and blissful beach activities. Pop the question over a candlelit dinner or during an exhilarating excursion that sets the mood for romance. We're happy to help you plan a personalized proposal that's sure to surprise and delight.